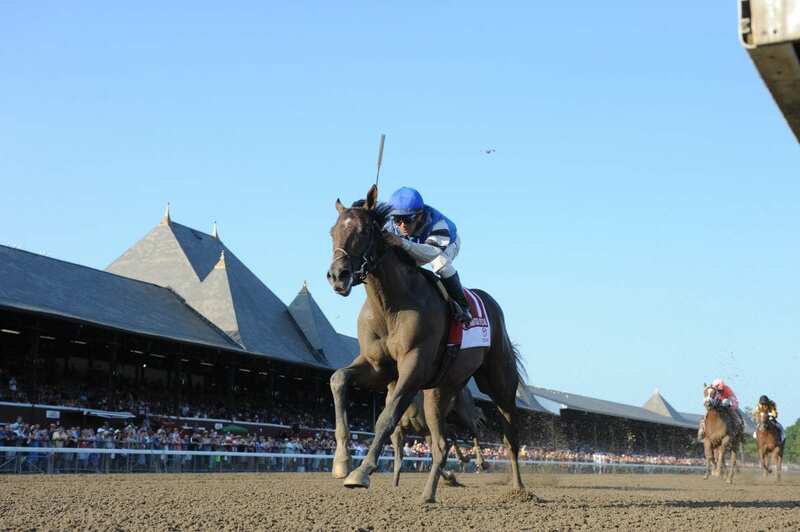 Sunday, August 27 features the Smart N Fancy Stakes as Saratoga’s ninth race. It is a $100,000 race for fillies and mares three years old and upward which is run at 5 1/2 furlongs on the turf. There are two Mid-Atlantic entries, a pair of mares, both of whom have already had a try at the Spa this meet, and are both at morning line odds of 8/1. While it is usually tough for any horse to ship to Upstate New York and pick up a win, it has been especially tough for Midlantic-breds this year, but since both have already had some time on the grounds and are well adjusted, this just might be their chance to break through. Ginger N Rye is a five year old Maryland bred by More Than Ready – La Milanesa, by Mr. Greeley. She won last time out at Saratoga with current jockey Ricardo Santana Jr. in her only start of the 2017 season. Ginger N Rye is owned by Sagamore Farm, who also bred her, and is trained by Horacio DePaz, who has trained three winners at Saratoga this year. If she repeats her trip from last race, she will have every chance to give DePaz his fourth win of the meet. Carolina Shag is a six year old bred in West Virginia by Susan S. Cooney, who is the trainer and owner as well. She finished a strong third in the Caress Stakes with jockey Sheldon Russell at the long odds of 43/1. While she will be more respected this time by the betting public, this brown mare by Bop – Carolina Cousin, by Clever Trick still has much to overcome, including Miss Ella, the favorite in here who also won the Caress.